In this article, you’ll learn, Moisture Content Determination of Soil by Oven and Speedy Moisture Test. Moisture Content Determination of Soil. 1. 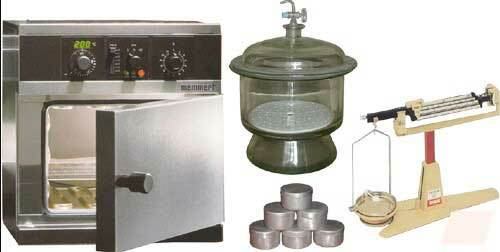 Moisture Content Determination by Oven Method. 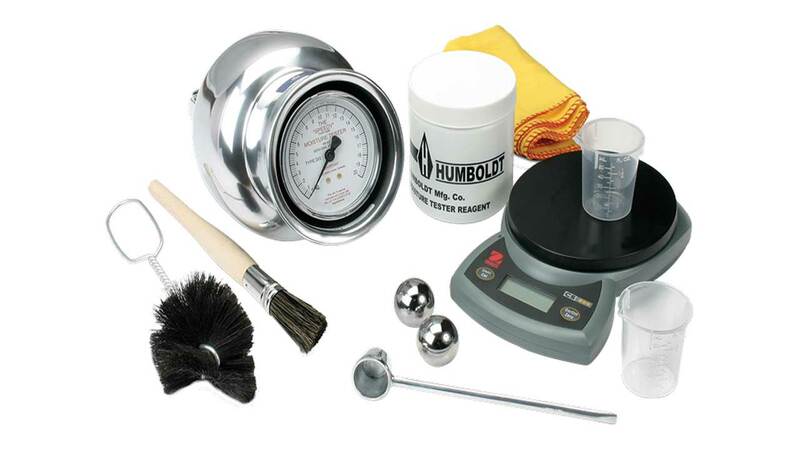 Q & A about this Moisture Content Determination Method. 2. Moisture Content Determination by Speedy Moisture Tester. The degree of compaction of the soil largely depends upon the quantity of moisture in it. However, if the moisture increases beyond a certain limit, compacting strength starts to decrease. By lowering the moisture content, we decide to provide or extract some water from the soil to get full compaction. It is needed for the construction of embankments, dams, etc. Moisture Content is defined as the relation of the weight of water in a given volume of soil to the weight of the solid particles in that volume. 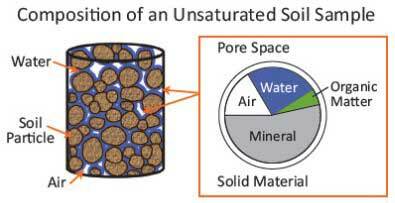 Wsolid = weight of solid particles in the soil in grams (i.e., oven dried soil). and the weight of dry soil sample (Wsolid) is obtained. and the water content is then computed using the below moisture content formula. 1. Drying oven at a temperature (105°C and 110°C). 3. Balance sensitive to 0.01 g.
1. Take a sufficient number of empty containers and mark them. 2. Take an identified container and weigh it and record the weight as W1. 3. Place a representative sample of wet soil in the container and weigh it and record the weight as W2. 4. After weighing, place the sample in the oven for [8 to 24 hours at a temperature of 105°C +- 5°C]. When the sample has dried to a constant weight, note the weight as a weight of dry samples and record the weight as W3. SO, from the above observations and calculations, the mean moisture content of the soil sample is 34.37%. 1. Containers must be marked to avoid interchanging. 2. Weigh the containers carefully. 3. Keep the containers covered in the oven. 4. If it is suspected that gypsum is present in the soil the soil sample should not be subjected to a temperature beyond 80° C.
Otherwise, gypsum would lose its water of crystallization affecting thereby the results of moisture content. Oven drying at 80°C may, however, be continued, for a longer time to ensure complete evaporation of free water present in the sample. 5. To assist the oven drying of large test, samples, it is advisable to use containers having large surface area and break up the material into smaller aggregations. 6. Since some dry materials may absorb moisture from moist specimens, the dried specimens should be removed before placing new wet soil samples in the oven. Q.1: At what Temperature in Centigrade, the wet soil sample should be kept in the oven? Ans: The temperature should be 105°C +- 5°C. Q.2: For how many hours, the wet soil sample should be kept in the oven? Ans: The wet soil sample should be kept in the oven for 8 to 24 hours. Q.3: Give the formula to calculate the water content of the soil sample. Ans: The formula for the determination of moisture content is. M.C = (Wwet soil – Wdry soil) x 100 / Wdry soil. The speedy moisture tester which is also called calcium carbide gas moisture tester provides a quick, simple means of determining the moisture content of the soil. It is particularly useful for field determinations of moisture content in conjunction with field compaction testing. The acetylenes gas produced by the tester is tapped within the tester and registers on the pressure dial, which is calibrated to read directly in percent of moisture by wet weight of soil. Since moisture content by definition is expressed as a percentage of dry weight of soil, the readings obtained by Speedy Moisture Meter are corrected using the following expression. Wsp = moisture content as obtained by speedy moisture meter expressed as a decimal fraction. Read Also: Consolidation Test of Soil; Its Scope, Apparatus, Procedure. 2. Balance sensitive to 0.01 g.
1. Weigh a 26 gm soil sample on the tarred scale and place it in the cap of the tester. 2. Place three scoops (approximately 24 gm) of calcium carbide and two 1-1/4 inches (3.175 cm) steel balls in the larger chamber of the moisture tester. taking care that no carbide comes in contact with the soil until a complete seal is achieved. 4. Raise the moisture tester to a vertical position so that the soil in the cap will fall into the pressure vessel. 5. Shake the speedy moisture tester vigorously so that all lumps are broken up to permit the calcium carbide to react with all available free moisture. or cause soil particles to become embedded in the orifice leading to pressure diaphragm. 7. When the needle stops moving, read the dial while holding the instrument in a horizontal position at eye level. 8. Record the dial reading. 9. With the cap of the instrument pointed away from the operator, slowly release the gas pressure. 10. Empty the pressure vessel and examine the material for lumps. If the sample is not completely pulverized, the test should be repeated using a new sample. 11. The dial reading is the percent of moisture by wet mass and must be converted to dry mass. Note: If the moisture content of the sample exceeds the limit of the pressure gauge (20 percent moisture), One half the size sample must be used and the dial reading must be doubled. Corrected M.C = (Observed M.C x 100) / (1 – Observed M.C). 1. Do not mix the chemical (calcium carbide) in an open atmosphere. 2. Keep the speedy moisture tester in a horizontal position while clamping it. 3. The tester should be shaken in a rotation to save it from any damage. 4. At the time of releasing the cap of the tester, keep it away from the operator. Read More: Liquid Limit Test of Soil by Casagrande Method. Q.1: How much in gram the soil sample is tested in the speedy moisture tester? Ans: 26 grams of the soil sample is tested in this test. Q.2: How much the chemical is used in this tester? Ans: 2 scoops of calcium carbide is used. Q.3: Name the chemical used in this test. Ans: Name of the chemical used in this test is calcium carbide. Q.4: Name the gas produced in this test. Ans: The Acetylene gas is produced in this test. Q.5: What will you do, if the soil moisture is more than 2 percent. Ans: If the moisture content of the soil sample exceeds the 20 percent moisture, then One half the size sample must be used, and the dial reading must be doubled. Thanks for Reading. Please, Don’t forget to share this article.